Dr. Annes is board certified by the American Board of Internal Medicine in both internal medicine and in cardiovascular diseases which is his sub-specialty. Dr. Annes was awarded his medical degree from The University of Texas Medical School. After serving as a medical officer in the United States Army, Dr. Annes divided his medical residency training between Kings County Hospital and Montefiore Medical Center. He went on to complete his cardiology residency at Montefiore Medical Center, where he did an additional fellowship through the New York Heart Association. He is a clinical instructor in medicine at Columbia Presbyterian Medical Center. He is an attending physician in medicine and cardiology at Lawrence Hospital and an adjunct professor of medicine at Westchester Medical Center. 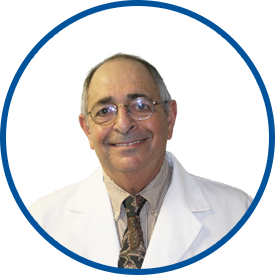 Prior to going into private practice in 1978, Dr. Annes spent one year at Beth Israel Hospital in New York City as director of the non-invasive lab and three years as director of the cardiology lab at Miseracordia Hospital in the Bronx. Dr. Annes joined Westmed Medical Group in December 2010. He is a Fellow of the American College of Cardiology, American Heart Council of Clinical Cardiology, American College of Chest Physicians, American College of Physicians and American Heart Association. WAG magazine has listed Dr. Annes as a top physician in internal medicine and cardiology for the past four years. He is the best excellent +++! Dr. Annes is an outstanding Dr.
Dr. Annes is a very good doctor who is attentive to all of patients needs. Dr. Annes has been my primary care provider for over 20 years. I trust him and would like this relationship to continue. I am more than satisfied with all who take care of me - the receptionist, nurse and, of course, the doctor. I have been seeing him for many years. I have been with *Dr. Annes for over 30 years. Due to his knowledge & expertise I am alive today. Outstanding person with a great personality. I have only good reviews to provide for you regarding Dr. Annes. i have a long commitement with Dr annes I would follow him wherever he goes. Always a good experience with Dr. Annes. Dr. Annes is an excellent doctor and really takes the time to ensure you are well and to explain all. Dr Annes is the best Care provider and I would most definetly recommend him to others!